This year, I am starting to celebrate my favourite season early – it is my reckoning that some of you will happily join me – and I am bringing back One Day That Summer, the photographer interview series I started last summer. Today’s exclusive story behind the lens is from photographer, screenwriter and director Todd Ritondaro, who is taking us to Africa and a unique experience in Northern Kenya. “This photo is from two summers ago while I was on Camel Safari in Northern Kenya. I had the good fortune of being one of the cameramen on a documentary about elephant poaching in Kenya a few years back and became good friends with the artist and conservationist Alex Beard, who put the whole thing together. 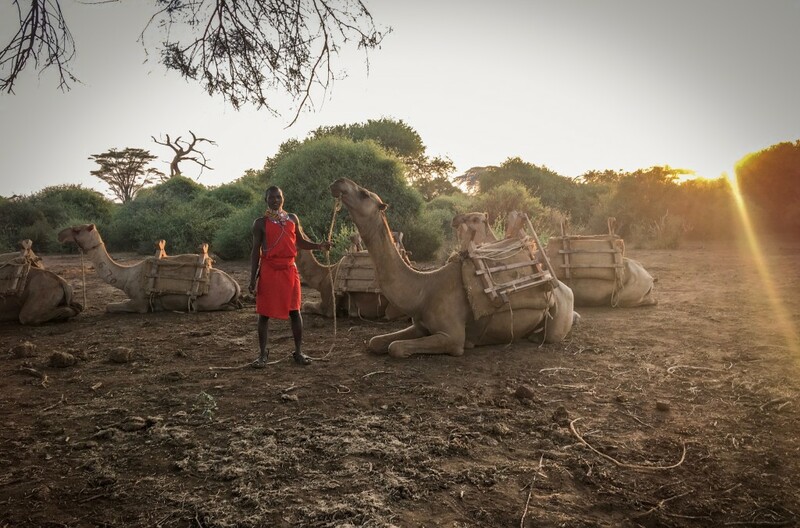 Alex and I went back to do another camel safari, to create art (his painting, my photos) in the bush, which then gets sold to help benefit conservation in Northern Kenya through his organization called The Watering Hole Foundation.